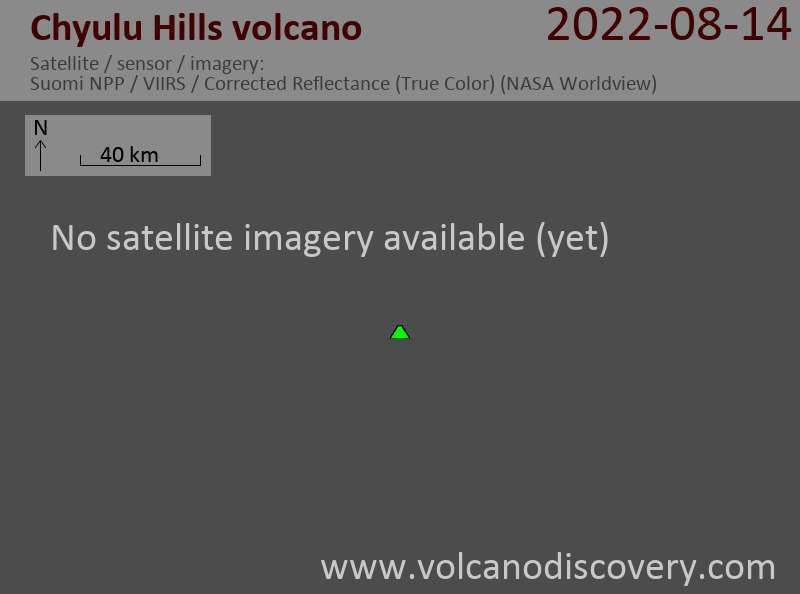 The 100-km-long NW-SE-trending Chyulu Hills volcanic field is located 150 km east of the Kenya Rift. It contains several hundred small cones and flows, including numerous Recent cinder cones. Two of these, Shaitani and Chainu, erupted during the mid-19th century. Volcanic activity began about 1.4 million years ago with eruptions in the northern Chyulu Hills and migrated to the SE, where a large number of Holocene cones are found. Many of the cinder cones are aligned along dominantly NW-trending older faults and younger NNE-trending fissures. The silica contents of the lava flows increased with time. Early flows consisted of foidites; later Holocene lava flows are basanites and alkali basalts.